The controversy actually began back in 1908 when John Beat, a professor of embryology at the University of Edinburgh, suggested that malignant tumors-cancer-might be cured by the effective use of ordinary enzymes (instead of the maiming surgery, poisonous chemotherapy, or burning radiation used by the modern medical establishment). Both Dr. Beard and his theory were ridiculed by the scientists of the day . . . and it wasn't until 1938 that the Edinburgh professor's work was picked up and continued by Dr. Ernst Krebs and his son, Ernst Krebs, Jr. The Krebs, in fact, devoted their lives to nutrition therapy and out of that labor came "The Trophoblastic Thesis of Cancer", laetrile (a substance-also known as amypdalin or vitamin B-17-extracted from the pit of the common apricot), and some rather sensational headlines both for and against the Krebs' work-that are still appearing in newspapers and magazines to this day. (1) The cancer cell is a normal body cell (called a trophoblast cell) which plays an important role in reproduction. As cancer, it is merely in the wrong place at the wrong time. Such cells, normally, are controlled by pancreatic enzymes. (3) Even under abnormal conditions, the pancreatic enzymes are capable of destroying cancerous cells. When the enzymes are in poor supply, however, a "wild" cell can proliferate and manifest itself as cancer. Cancer, then, is a deficiency disease and-as such--will respond to medication. (6) Laetrile, actually vitamin B-17, can fill this deficiency when properly administered in combination with other vitamins and enzymes and, in fact, the mere existence of a malignant tumor creates biochemical actions which "trigger" laetrile-if it's available-into attacking the unnatural growth and killing the cancer cells. "That's a nice theory,"says the American Medical Association . . . and the U.S. Food and Drug Administration, the American Cancer Society, and most of the rest of the "legitimate" medical establishment, "but it doesn't work. " "Oh yes, it does work!" answers Dr. Harold W. Manner, Professor of Biology and Chairman of the Biology Department of Chicago's Loyola University, "and 1 have documented case studies of work done with both laboratory animals and human beings which prove that nutrition therapy using laetrile can cure, contain, and prevent cancer." That, of course, is a startling statement for a respected scientist to make in the face of FDA/AMA harassment (if Dr. Manner cannot back up his claims, he can-quite simply-kiss his J0-year-long career goodbye) . . . and, for that reason, MOTHER Associate Editor Bruce Woods recently flew to Chicago to interview the controversial head of Loyola University's Biology Department. The following conversation-which took place while the two men inspected some of the mice that Dr. Manner and his graduate students have treated-may, upon occasion, surprise you and further destroy what little faith you have left in our federal a government. But it may also give you a great deal of hope. PLOWBOY: Dr. Manner, your research may well bring nutritional cancer therapy out from under what I can only call the medical establishment's carefully maintained cover-up. Could you tell me how your work-your career came to put you in the laetrile "hot seat"? DR. MANNER: My entire professional life-and that "life" began in 1949-has revolved around the study of illness. I've always felt there must be a reason why we're still faced with such things as "incurable diseases". After all, we have scientific minds capable of putting men on the moon . . . yet we haven't even begun to control these horrible maladies. Why? My work has been dedicated to answering this question and -over the years-I've developed a kind of philosophy, based upon two beliefs, that has guided my research. The first of these points, put simply, is, "Don't fool with nature", because-as soon as you upset the natural balance of the body-you set yourself up for some serious consequences. This view led me to think that perhaps many of the so called"metabolic diseases" were really only the result of a nutritional imbalance. The other point in my "system" is the belief that we often can't find a cure for an illness because we don't know its cause . . . and we're ignorant of these causes, I think, because most medical research has gone in the wrong directions. For example: Most of the researchers who've studied these incurable diseases have spent their time searching for bugs, bacteria, and viruses . . . since microorganisms are known to cause many other diseases. Well, the best microbiologists in the country have been working on this problem for fifty or sixty years and nobody has yet found a micro-organism that causes the metabolic diseases. You'd think people would begin to wonder whether or not the "bugs" are there at all. Now-because I often haven't been satisfied with the popular answers-my studies have always been somewhat off the beaten track. When cortisone first came out, for instance-back around 1948-it was touted as the "wonder drug of the century" because it was going to cure arthritis and rheumatism. Well, people did take cortisone and-sure enough-they did get rid of their arthritic pain . . . but-in some cases-they also developed peptic ulcers, moon face, and had all sorts of sodium changes in their bodies. So, in 1949, I started to research the risks involved in the indiscriminate use of cortisone . . . and my group was funded immediately by the Arthritis and Rheumatism Foundation, which wanted to know why these drastic side effects were beginning to show up. And we demonstrated-in our work with animals-that parts of the body would actually rot off when given excessive amounts of cortisone. We spent five or six years on that research, and later worked with varicose veins and other disorders. Eventually I got involved in the study of pollution. So many of the things that we drink and eat and breathe today, as I'm sure you're aware, are absolutely unnatural . . . and man is either inadvertently or purposely-responsible for most of these pollutants. I object, for example, to the government's telling me that I have to take a spoonful of fluoride every morning. But I don't have any choice. If I drink the public water here in Chicago I have to swallow that chemical with it. On the other hand, there are the things that we've come to accept as parts of our day-to-day life: the pesticides, the poisons that come out of smokestacks and automobiles. I don't know Y we'll ever be able to eliminate these hazards completely; but I do know that we can, right now, prepare our bodies to deal with them . . . through good nutrition, exercise, and so forth. So you see, much of my past work did point toward the studies that we're doing here today. And, although this recent work has been given the name "laetrile research"-the local papers, for instance, call me "the folk hero of laetrile research" or something like that-the label is unfair and inaccurate. Because our experiments have involved many things other than laetrile, which is also called vitamin B-17 or amygdaline. We've done work with vitamin A, with vitamins C and B-15, and with natural enzymes. But the press zeroes in on the lace- of course, because it's a word that sells newspapers. I have documented case studies of work done with both laboratory animals and human beings which prove that nutrition therapy using laetrile can cure, contain, and prevent cancer. PLOWBOY: How did your study of pollutants lead you into cancer research? DR. MANNER: I began my work on the long-term effects of pollutants here at Loyola in 1972. I hoped to predict pollution problems before they occurred by studying the effects of these poisons on the susceptible tissues of fish embryos. It soon became clear, however, that most pollutants are carcinogenic that they can contribute to the development of cancer-so I began to devote more and more of my work to carcinogens and the cancers they caused. 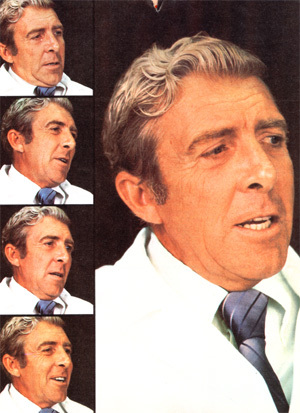 Then-in late 1974-I came across Ed Griffin's book, World Without Cancer . . . which introduced me to the trophoblast theory developed by Ernst Krebs, Jr. and Sr., the "fathers" of laetrile. I don't completely subscribe to the Krebs' theories, however. For one thing their "trophoblast" is definitely an embryonic cell, as they state, but it's a very specific cell . . . part of an extra embryonic membrane. I prefer to call it a "pluripotential cell". The Krebs also suggested that a lack of pancreatic enzymes causes cancer to develop. I think the process is a lot more complex than that, though . . . I believe the pluripotential cells are being constantly subjected to carcinogens, and that these substances cause the normally harmless cells to develop into cancer. In fact, I'd guess that any person who walks the surface of the earth is actually getting cancer at least once a week. PLOWBOY: And the body is able to control these regular attacks of cancer? DR. MANNER: Sure, it just throws them off . . . if that body has a healthy immune system. But when a person is weakened through the use of junk foods, stress, lack of sleep, and inadequate exercise . . . that immune system weakens. Then the body catches cold-or any of a number of infections-and, if a cancer starts to develop at that time, the body is not going to get rid of it. PLOWBOY: Did you immediately begin your laetrile research after you read the Griffin book? DR. MANNER: No. In fact, I thought the Krebs theory was almost absurdly simplistic. Still, though I tried to put it out of my mind, it did have a ring of truth to it that nagged at me. Finally I talked to my graduate students about it and we decided to subject the trophoblast theory to laboratory analysis. And, while we were rebuilding our lab to accommodate the job, we began to go back to the libraries and bone up on the subject of laetrile. It was about then that I started to realize I was entering something that was different from anything I'd dealt with in 30 years of research work. PLOWBOY: What do you mean, "different"? DR. MANNER: Well, most of the published material on the subject-both pro and con was not at all scientific, for one thing. I saw charges and countercharges . . . statements that claimed laetrile was worthless and others which implied that it could cure anything which ailed you. Most of the things we read came from editorials in newspapers and from sensational paperbacks . . . there was very little documentation of scientific evidence one way or the other. I also realized that something strange was going on when I called several friends who were working in similar areas . . . and as soon as I'd mention laetrile the phone would go silent. They'd just say, "Let's meet." I had more rendezvous in parked cars than a TV spy. PLOWBOY: And the individuals who arranged these "secret meetings" were researchers? DR. MANNER: A lot of them were. Many were people from the other universities which were conducting studies that I felt might provide data I could use. This sort of information exchange goes on regularly . . . but not, apparently, when laetrile is involved. PLOWBOY: They didn't even want to be associated with it? DR. MANNER: Right. And they still don't. Peer pressure is a funny thing. I believe it's killing this country. We researchers are subjected to this pressure by what is called "peer review". Which means that if we want to get a grant-say, from a government agency-we submit our proposals and they're passed on to a group of our peers. Now, these men and women-these peers-have ideas about the directions they want research to take, and if it happens that the proposal leans another way. . . well, the grant is rejected. This has happened to even the giants in the field . . . researchers like Linus Pauling. We also have to deal with the editorial boards of the medical journals. If a researcher's work happens to run against the grain of any of the peer reviewers on a medical journal, he will never get a paper-no matter how good printed in that publication. I could write the best paper on laetrile in the world, for example, and I know it wouldn't get into the Journal of the American Medical Association. Because of this pressure, I've been publishing in smaller journals lately . . . those that are, at least, willing to listen. It's funny, though: Over the years, I've had more than 50 reports printed in the front-line journals. If I were working on anything but laetrile I could publish my results anywhere. PLOWBOY: Where does the financial support for your work come from? DR. MANNER: When I began this project I knew that my options for backing were limited. I couldn't go to the pro laetrile forces for funds, because there would have been strings attached to the money. And, for the same reason, I couldn't ask for grants from the government associations. So I went to the administration here at Loyola University which is, as you know, a private Jesuit school-and I presented the problem to the administrators. I don't know how they came up with the funds-no private school is in very good financial shape-but they said, "We'll support your work." And I bless them for that. PLOWBOY: Has the publicity you've received-because you're experimenting with laetrile-been a problem? DR. MANNER: No, not the publicity. But what does bother us is the constant harassment from the Food and Drug Administration. It simply isn't right that-in a free society-a fellow can be subjected to this sort of badgering when he's trying to get a job done. PLOWBOY: How, specifically, has the FDA harassed you? DR. MANNER: Let me explain one thing before I answer that: I possess the only key to the hard drug locker here at Loyola, and I hold hard drug and controlled substance licenses from both the state of Illinois and the United States government. These licenses give me access to such things as morphine and cocaine . . . because my credentials and my background have been thoroughly investigated. And I've never in my entire life carcinogens. We start our experiments with whatever is happening in an animal's body that causes a cancer to grow. Our second discovery didn't really come to us until I began to travel to the clinics that were already using laetrile. I visited Dr. Richardson in California, Dr's. Contreras and Soto in Mexico, Drs. Brown and Ransberger in Jamaica, and Dr. Hans Nieper in Germany. I found, of course, that none of their regimens were identical. One thing, however, was universal in all of these clinics, and I don't know how it escaped us or how it escaped those people whose experiments I was duplicating: laetrile was never used by itself. It was always given in conjunction with a complete therapeutic program . . . while we, in our labs, were using laetrile alone. I found, for instance, that all of the clinics which seemed to experience success with their laetrile treatments also used various enzymes, and that they all used vitamins A and C. We applied this data to our work with the new "naturally cancered" mice, and it was the result of these experiments that supposedly dropped a bombshell on the scientific community. Of course, this "bombshell" needn't have existed, because everything we were doing was being relayed week by week to other laboratories . . . just in case they wanted to follow along with us. Anyway, we immediately eliminated the vitamin C from our projected animal experiments . . . because mice, unlike humans, make their own "C". That left us with the enzymes, the vitamin A, and the laetrile. Our treatments were "mouse sized", of course, but I'll scale them up to make the amounts easier for a layman to comprehend. I just heard today from a fellow in Ohio. He called to let us know that he'd received our treatment for leukemia and has just been given a clean bill of health by his hematologist. PLOWBOY: So they'll approximate human dosages? DR. MANNER: Right. We'll discuss the medications in terms of a 80-kilogram (132-pound) human being. Laetrlle was available forms of the vitamin, which we didn't do. Instead, we used a material manufactured in Germany called BIO-Ae Mulsion. PLOWBOY: How does this differ from the usual health food store tablets? DR. MANNER: It's a highly emulsified substance that is broken down into very fine particles. When taken into the body, it avoids the "normal" channels. Instead of going to the liver where vitamin A damage usually occurs-Ae Mulsion enters the lymphatic system and bypasses the liver . . . therefore it doesn't have a toxic effect. P LOWBOY: How about the enzymes? DR. MANNER: We used enzymes from the lentil bean, from the garden pea, from the papaya plant, from the thymus gland of a rat, and pancreatin taken from a beef pancreas. This combination was developed in Germany and has been used for years by Dr. Ransberger and others. PLOWBOY: Can you tell me how each of these substances works in the body? DR. MANNER: First you have to realize that a tumor doesn't belong in the body. I'm convinced that the normal state of any living thing is health, and that if a body is well equipped it can bring itself back to health when illness occurs. Look, for example, at the transplant surgery being done. Over and over we see the body reject transplanted organs. That "new" heart or kidney doesn't belong there, and the body knows it . . . so rejection takes place. I'm convinced that a tumor doesn't belong in the body, either, and that the system should reject such an unnatural growth too. PLOWBOY: Then why doesn't it? DR. MANNER: As the tumor grows it develops a layer of protein-kind of like a plastic bubble-around itself. And that protective layer "hides" the growth so the body can't recognize it as a foreign invader. Now, our enzymes attack and eat away the protein shield which protects the tumor . . . and when this is done the body can see the cancer for what it is. The immune system should take over at that point, but-since this reaction is very weak in cancerous animals and humans we use vitamin A to stimulate the protective system. This has all been fully documented. Furthermore-in addition to the natural forces within the body which our treatment unleashes, against the cancer-the laetrile that we administer can also get at the "naked" tumor. It releases its deadly cyanide and the cyanide goes to work on the malignant cells. PLOWBOY: That's the theory, then . . . but what kind of results did you get from your revised experiments? DR. MANNER: They were absolutely fantastic. At the end of the first four to six weeks we began to see changes. After the second enzyme injection a small pimple appeared at the site of the tumor . . . it looked like a whitehead or boil. Then, following the next dose, the pimple would burst open and discharge a white pus. We ran an analysis of the discharge-through the pathology department of the American International Hospital-and the pus was identified as dead cancer cells. Furthermore, as we continued the treatments the tumors got smaller and smaller. At the end of four to six weeks the growths were completely gone from 90% of the animals. We had these specimens autopsied at American International and they were all given an absolutely clean bill of health. Not a cancer cell anywhere. PLOWBOY: And what about the other animals you treated? DR. MANNER: At the close of the experiment the other 10% of the mice were all in stages of partial tumor regression:... they were all better off than when we started. PLOWBOY: Those are impressive figures! Have you attempted to take your findings to the public? DR. MANNER: I presented the general story-with slides and pictures-to over 2,000 people at this year's annual meeting of the National Health Federation here in Chicago. The next day the AMA and the FDA-instead of saying, "Well, he might have something there"-came out with a blast that was published and broadcast nationwide. The attack had nothing to do with our experiments or with the results that we'd achieved. It simply condemned me for presenting my material in the wrong place. These agencies, you see, wanted me to go through the normal scientific channels-which I had always used in the past but I had a specific reason for not doing so this time. I wasn't about to play games with cancer. It would have taken approximately two years to clear the various medical journal editors, and another two or three for a laboratory to pick up my studies and repeat them. That's four-maybe five-years, and I submit to you that the cancer patients living today don't have five years! If I had it to do again I would do exactly as I've done... in spite of the American Cancer Society. PLOWBOY: Has the AMA, FDA, or American Cancer Society made any attempts to attack your research on scientific grounds? DR. MANNER: I doubt that they can, because I suspect that-by this time-somebody at the government level in one of their labs has said, "Hey, this guy is too damaging, let's repeat his experiments." I'm sure they have repeated them, and I'm sure they've had the same results. PLOWBOY: Which brings us back to the question of why the official organizations and agencies still oppose this kind of work. DR. MANNER: I honestly don't know the answer to that. I also don't know why, for examble--even if what we're doing here is all wrong-an organization like the Cancer Society, which claims to be at the forefront of research, hasn't come out here to see what we've got . . . to find out if our work is worth anything or not. We've actually invited them over, and gotten no response . . . not a peep. PLOWBOY: In what directions are the "legitimate" cancer research organizations going? DR. MANNER: Basically, they're spending about half their money identifying new carcinogens . . . and there's nothing wrong with that. But I think they're on shaky ground because they also continually develop new chemotherapeutic drugs and radiation treatments that don't seem to do anything but kill the body they're used on. I'd think they might be willing-especially considering the results we've gotten-to take one percent of their donations and give it to nutrition research to see if that approach can do any good. But they won't, they won't open themselves up at all. PLOWBOY: Your results are all the more impressive because you didn't have the help of the government cancer researchers. But can your experiments be applied to real life? How-in other words-can your work help a person who has cancer now? -have `come over' to laetrile/nutrition therapy. We're gradually making inroads. DR. MANNER: Well, say a woman reads this interview-or hears me speak somewhere-and that woman has a burning lump in her breast. Already, in many cases, such people have gone to their physicians and said, "Before we use surgery, let me try this Manner technique." I've had more phone calls from irate surgeons because of that than you'd believe. PLOWBOY: Are these doctors generally receptive to what you have to say? DR. MANNER: They usually start off by telling me in no uncertain terms that they don't believe what I've said about laetrile, but that-at the insistence of the patient they'll try it. Then they ask me how the treatment works, and I tell them . . . step by step. In return for my consultation in these cases I ask for-and am receiving complete reports from the doctors involved. These records show people with biological malignancies and a prognosis of-in the case of breast cancer, for instance-radical mastectomy. The files show the refusal of the patient to endure this surgery, and then hospital records which cover the administration of laetrile, vitamin A, and enzymes . . . with a completely clean bill of health as the result. As these reports come in-because I've been around the laetrile scene long enough to know a few things-I make copies of each one. One copy stays here and another goes to a locked bank vault in Canada . . . a bank vault known only to me and a few friends. When I have 100 of these files I'm going to put them in a package, take them to Washington, D.C. . . . and I think the whole laetrile controversy will be over. PLOWBOY: How many of these reports do you have at this time? DR. MANNER: I've got seventeen complete case studies on file right now. And I would say that well over 70% of the patients that are receiving my treatment in some newly opened clinics here in the Chicago area are improving at a really rapid rate. Those reports are pledged to my file, too. I go down to those clinics once a week to talk to the patients. It seems to me that-all too often in medicine today-people are asked to take things when they don't even know the purpose of the medication. I feel it's my responsibility to go down there and say, "Well, OK, you're taking the enzyme . . . I'll explain why it's being given to you, why meat has been taken out of your diets," and so forth. Then, once they understand-in layman's terms-the theory behind the treatment, I open the discussion to their questions. These talks build the patients' confidence, and people who've been treated for a week-and remember, these are men and women who came in dying of cancer-often tell me they feel wonderful. They have this feeling of well-being because we immediately detoxify them . . . we get rid of all the poisons stored in their bodies. That, of course, has never been done for most Americans. Then we start the patients on diets of good, solid, wholesome foods and vitamin and mineral supplements. Obviously-after a few days of this treatment their bodies feel stronger and healthier. Which is why they say, "I've never felt so good! " Now, this doesn't mean that these people are cured in a week, but in many cases they are on the way to a complete remission of their tumors. PLOWBOY: Haven't your laboratory experiments centered upon mice with mammary cancers? DR. MANNER: Yes, all of our lab work has dealt with breast cancers in mice. PLOWBOY: Have you had results from the clinics to indicate that your laetrile/ nutrition therapy is effective against other cancers, too? DR. MANNER: It seems to be. The clinics are treating all kinds of tumors. The only type we've had significantly less success with is leukemia. I just heard today, though, from a fellow in Ohio. He called to let us know that he'd received our treatment for leukemia and has just been given a clean bill of health by his hematologist. In general this "blood cancer" hasn't responded to our therapy as well as the others have . . . but cures and remissions do occur in these cases, too. PLOWBOY: Are the American physicians who administer laetrile therapy having problems obtaining the substance? DR. MANNER: Now and then they are. We had a hassle here just last week, as a matter of fact. Five of Dr. John Roche's patients-over at the Bridge view AntiCancer Center-needed laetrile to begin therapy on Monday. John couldn't have the amygdalin shipped to the clinic, since it was slated to arrive over the weekend, so I told him to have it sent to my house. I've never had an experience like that before! A delivery truck pulled into my driveway on Sunday afternoon, and the driver said that he had a package for Dr. Roche. When he asked if he could leave it with me I said, "sure" . . . that I would take it to the clinic on Monday. As soon as I had the box in my hand, though, an FDA man and a United States Marshal-both carrying guns-got out of the truck. "We'll take that stuff right now," they said, and confiscated the laetrile. I couldn't believe it! PLOWBOY: Did they produce a warrant? DR. MANNER: No warrant, no. They don't fool with warrants. Dr. Roche had to go and sign for the medication the next day. And, of course, the confiscation made headlines all over town. PLOWBOY: If a person is able to avoid these government hassles, is the laetrile treatment an expensive one? DR. MANNER: No, it isn't. The complete treatment-at one of the Chicago clinics, for example-costs $2,000. This includes 21 days of office visits, all the necessary nursing care, all the diagnostic tests, and all the laetrile, vitamins, enzymes, and other medications that might be needed. PLOWBOY: Do the patients who are treated in these clinics have to go on a maintenance program after they leave? DR. MANNER: For the rest of their lives. PLOWBOY: And what does this postclinic therapy consist of? DR. MANNER: Here's what they have to do: They stay on the diet that we give them with the treatment, supplemented with extra amounts of laetrile-rich foods. The patients also take a regular maintenance dosage of enzymes, to supply the substances-pancreatic and gastric enzymes, etc. -that their own bodies can't produce. Finally, they go on a regular regimen of vitamin and mineral supplements. PLOWBOY: Is laetrile therapy available in most areas today? DR. MANNER: It is now offered by clinics all over the country. PLOWBOY: How does a cancer victim find out where he can receive these treatments? Is there a national "master list" of laetrlle doctors? DR. MANNER: We can supply that information. I keep a complete list of "sympathetic" physicians on file in my office . . . and we add to that list all the time. I can often put people in touch with a doctor in their area. Also, the Cancer Control Society in Los Angeles has a file, though I don't think it's quite as complete as ours. In fact, we now know of a number of hospitals in this country where terminal patients-who may be bedridden-can get the complete treatment. The staffs of White stone General in New York City and American International in Zion, Illinois-for example-have "come over" to laetrile/nutrition therapy. We're gradually making inroads. PLOWBOY: Do you feel, then, that a general acceptance of the merits of this therapy is inevitable? DR. MANNER: Yes, I do. Of course, the AMA and the FDA aren't likely to accept it soon. PLOWBOY: Won't they have to come around if the treatments gain wide public support? DR. MANNER: Eventually. What's happening now is that they're faced with a situation similar to the one the government faced with Vietnam: Most of 'em would like to get out-to change their positions-but they've spent so much time and money opposing laetrile that they'd look very foolish if they did an about-face now. You'll notice, though, that the government is on a nutrition kick these days. They recently found-and reported as a tremendous discovery-that vitamin A actually enhances the immune system! So they're coming around, little by little.. and eventually they'll put it all together and announce that they've finally discovered the answer. PLOWBOY: And you will have played a major role in prodding them toward that "discovery". Tell me, Dr. Manner, what are your plans for the future? DR. MANNER: For the next year or so we'll be working on the mechanisms and actions of the treatment . . . and especially trying to look more specifically at the ways that the vitamins and enzymes we use react on diseases other than cancer. You see, I believe-if we really look at things like muscular dystrophy and so on-that we'll find they're also nutrition related. But my personal goal-and I've done a lot of thinking about why I always stick my neck out-is a pretty simple one. I'm 63 years old now and I've got just twelve more years before I retire. I've written a lot of articles and books, but I'm not really going to leave any mark . . . because all of that work finds its way into the literature and most of it dies there. I think I've learned enough, though, over the years to tackle some of the other major diseases. I may not find cures-I'm certainly not egotistical enough to say that I will-but I might, at least, be responsible for getting other scientists started in the direction of cures. And if I can do that, I will have done something worthwhile. I'll be satisfied. EDITOR'S NOTE: Dr. Manner has recently written a book which discusses the theories behind laetrile/nutrition therapy and the research that he has done in connection with this controversial method of treating cancer. The volume is both simple enough for someone without medical training to understand and well enough documented to-we hope-cause more of America's physicians to take a second look at this possible alternative to radiation, chemotherapy, and radical surgery. Dr. Manner's book, The Death of Cancer, is available in bookstores or-for 9.95 plus $1.00 shipping and handling from Advanced Century Publishing Company, P.O. Box 1058, Evanston, Illinois 6080 .